Remember those tiny pots of Petit Filous you’d eat as a child? The flavour of this mousse is not dissimilar, served in glasses and sprinkled with hazelnuts as a nod to grown up sophistication. It’s mousse, so the texture is creamier, but it still reminds me of childhood puddings. 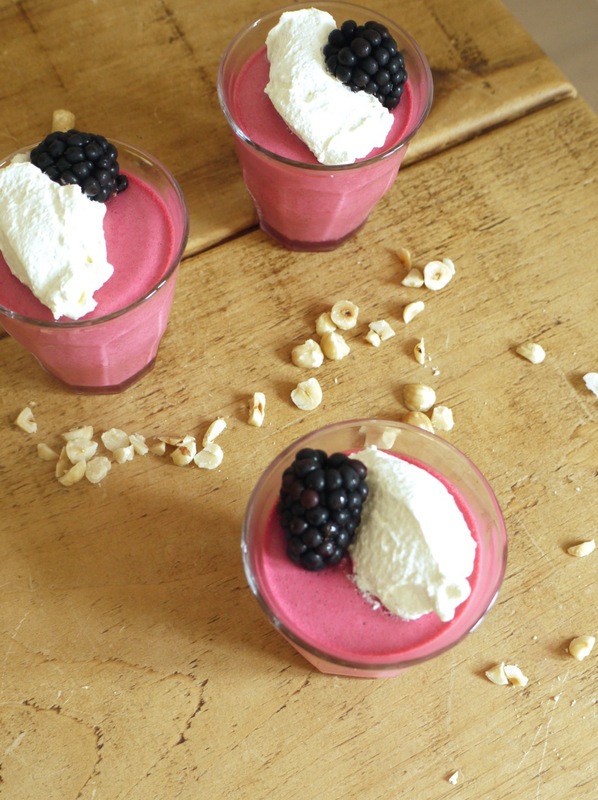 Blackberries are all but gone from the markets by now, but if you can sneak a punnet or two before the November frost creeps in, I’d recommend making this mousse. Fruit is softened on the stovetop with sugar then pulped and swirled through whipped cream with a dollop of yoghurt. A couple of leaves of gelatine bind it all together, with more whipped cream on top, extra blackberries and a sprinkle of toasted hazelnuts for crunch. This isn’t a complicated dessert but – as I’m slowly regaining my sweet tooth after early pregnancy cravings for salt – perfect for a mid-week treat or a palate cleanser after an indulgent Sunday lunch. If you’re looking for other recipes to try this week, there’s a selection from my cookbook Homemade Memories up on the Great British Chefs website, along with this rather lovely review. And if you’re in the market for making foodie Christmas presents, there’s also a feature from the book in this month’s Waitrose magazine, complete with illustrations of my peanut butter cups, marshmallows and more (which I rather adore). 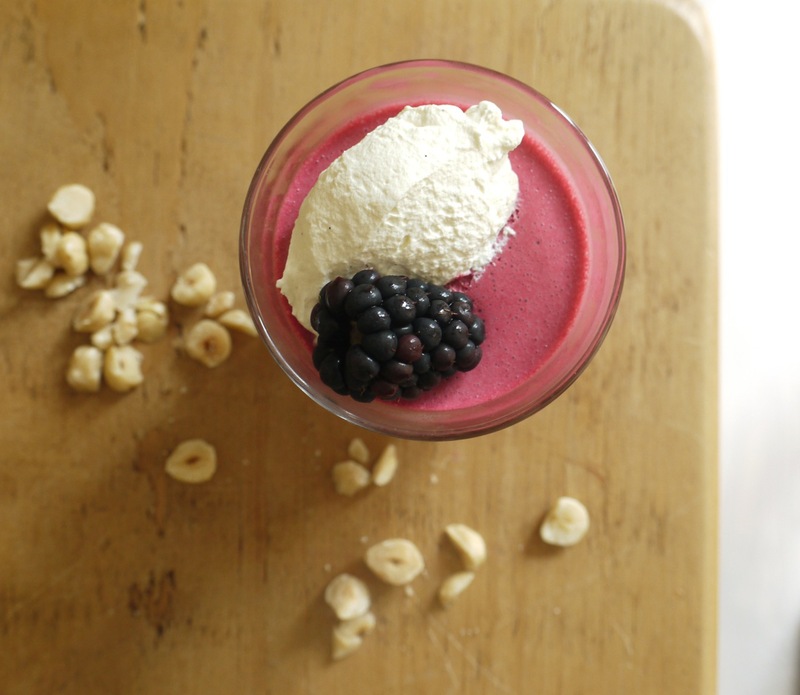 A light, fruity mousse with the creamy tang of yoghurt. Perfect for a midweek dessert. In a small bowl filled with cold water, soak the gelatine leaves for 5 minutes. 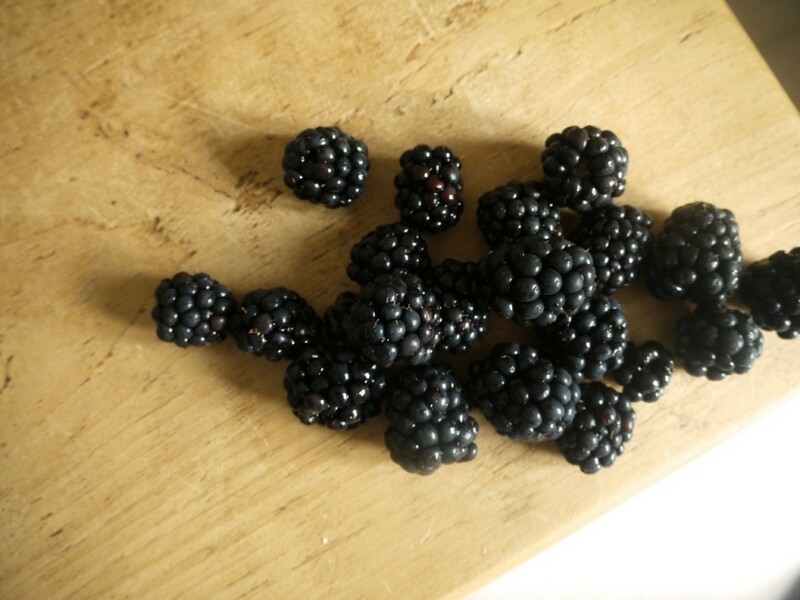 In a small saucepan, combine the blackberries, sugar and 1 tbsp water then bring to a simmer, cooking until the fruit starts to break down. Place a sieve over a bowl, tip in the fruit and push through to remove the pips. Stir the soaked gelatine into the blackberry juice until dissolved, then set aside to cool for 5 minutes. Fold the blackberry juice through the whipped cream, fold in the yogurt then spoon into glasses and chill for a minimum of two hours. To serve, fold the vanilla seeds and icing sugar into the whipped cream. 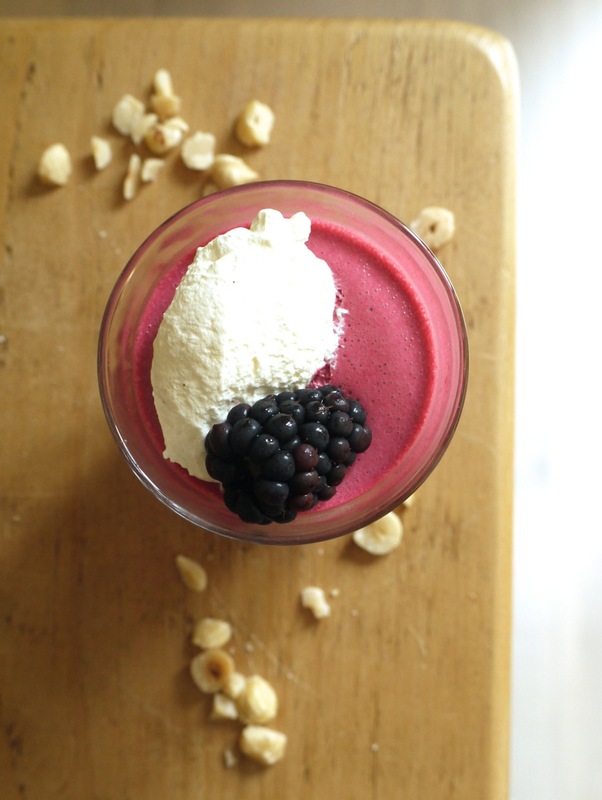 Top each mousse with a dollop of cream, a blackberry or two and a sprinkle of hazelnuts. Barely adapted from a recipe in Jamie magazine. 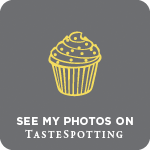 This desserts looks divine! 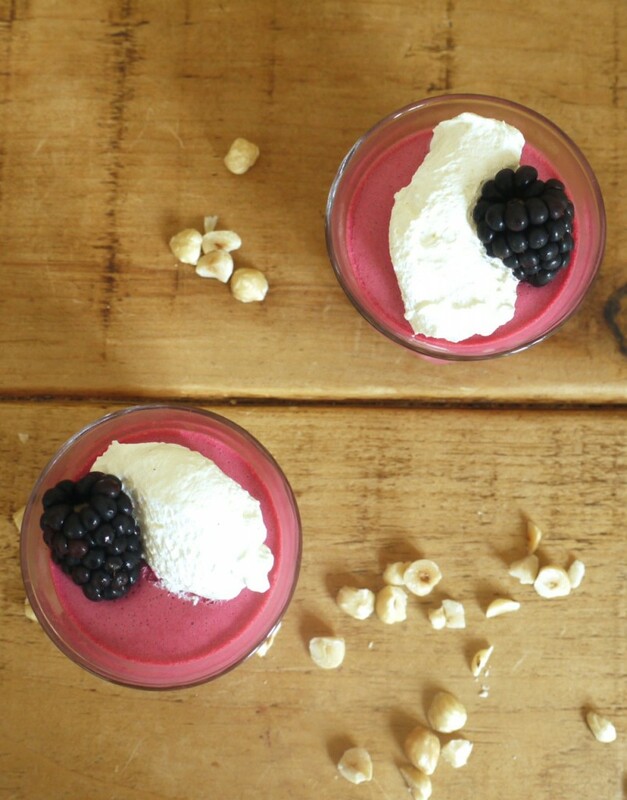 Blackberry + Cream + Mousse sounds heavenly this time of year! Got to make this one, delicious, colour is fab too.